Scooper - Technology News: Is there a new Nordic trend in urban planning? Is there a new Nordic trend in urban planning? Foodies around the world have over the past years enjoyed cabbage, herbs and even ants as part of a growing Nordic food trend. Others have been entertained by the Nordic Noir televisions series “The Bridge”, “The Killing” and “Borgen”. The next wave in Nordic innovation could easily be something as technocratic as urban development. Almost two years ago, heads of state from the UN’s 193 member countries passed 17 global goals for sustainable development on our planet. Since then, companies, educational institutions, municipalities, organizations, regions and UN member states have adopted the goals and are focusing on translating them into specific solutions, products and services that span existing sector silos in terms of their thinking. Cities worldwide are growing – and growing fast. Currently, half of the world’s population live in cities, and the trend towards urbanization will continue unimpeded for many decades to come. Two-thirds of the world’s population will live in densely populated areas by 2050. A very large part of the initiative to realize the UN’s 17 Sustainable Development Goals (SDGs) must happen in cities. Over the next 10-15 years, this will involve huge new investments in areas like renewable energy, sustainable urban planning, infrastructure and traffic solutions, and new and better waste management. This brings major challenges but also includes the potential for cities to be growth centres for sustainable solutions. It requires leadership, courage and the ability to bring innovation into every part of the process. These are skills that Denmark can be proud of and obliged to contribute in relation to global challenges. It is clear, however, that we will not achieve sustainable development simply through public-sector regulations and investments. The global goals require innovative partnerships across traditional professional skills and administrations and between the public and private sectors. And preferably partnerships that transcend the classic transaction partnerships where the public sector is the commissioning party and the private sector is the subcontractor. Denmark has positive experience with innovative partnerships and policy development that involves all stakeholders in developing solutions. One example is Novo Nordisk with its initiative of public-private partnerships in a network of cities worldwide. 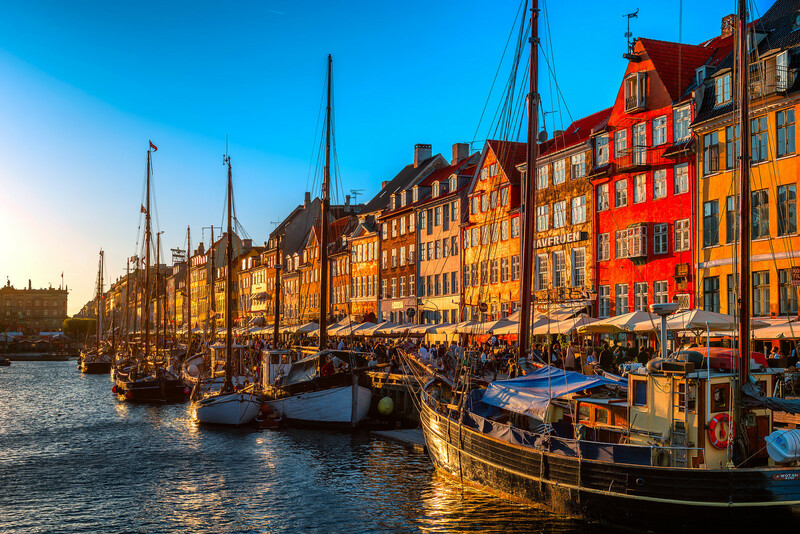 The global initiative Cities Changing Diabetes focuses on how urban development, sustainability and health are interlinked, involving a number of big cities, with Copenhagen as a reference. Modern lifestyle must be changed. This requires that health, a new food culture and exercise are integrated in all policies, including employment, transport, education and urban planning. The programme is a demonstration that it is in the interface of the SDGs – in this case goals number 3, 11, 13 and 17 – that innovation happens. Another example is from the Danish Architecture Centre (DAC), which is leading a competence programme for top municipal executives and politicians in strategic urban management. Managing cities strategically demands a new mind-set based on in-depth local knowledge and a good network among groups of citizens, companies, administrations and universities. This also requires new competences in relation to managing partnerships and pioneering new solutions that can be used across the world. The aim is to develop new tools to address the SDGs and share the results in partnerships with other cities worldwide. DAC is therefore collaborating with the Center for Liveable Cities in Singapore on designing solutions for global goals through strategic urban management and sharing knowledge about examples. This international collaboration also requires broad dialogue and knowledge sharing. The International Federation for Housing and Planning (IFHP) backed by innovative architects specialized in designing liveable cities is helping to set the agenda at major meetings, from the recent UN’s conference on Habitat III in Quito and the C40 summit in Mexico to the property MIPIM conference in Cannes. The new mind-set and associated new tools are needed in many places worldwide. We see many perspectives in developing the strategic management of cities as part of an overall systems-export from Denmark. It requires leadership, the courage to think innovatively, and that partners from both the public and private sectors dare to take risks. This critical mix of ingredients for innovation might easily be the next new Nordic trend.